Is Cottage Cheese a Good Diet Food? Will Sugar in Your Diet Affect Your Blood Pressure? You may already know that getting too much salt in your diet raises blood pressure, but you may wonder if eating too much sugar does, too. While sugar does not directly cause blood pressure to rise, eating too many sweets may raise it indirectly. High-sugar intake may lead to an overall unhealthy diet or cause weight gain, both risk factors for high blood pressure. 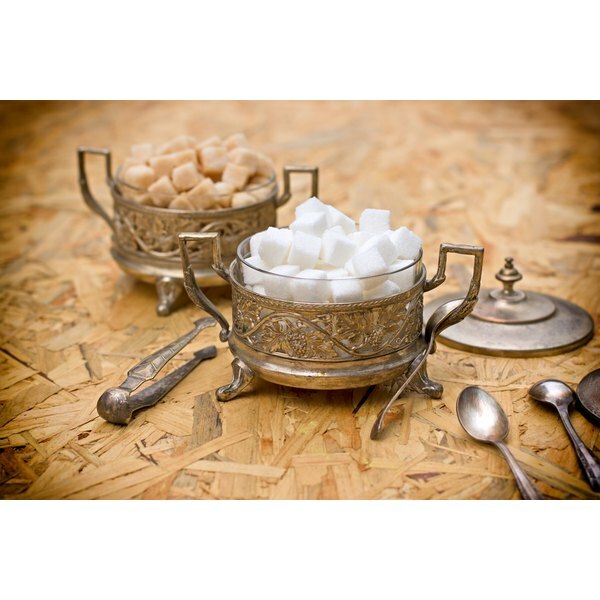 While table sugar is fat-free and has only 16 calories per teaspoon, it offers no nutritional value and is devoid of vitamins, minerals, fiber and other good-for-you nutrients. Americans get about 16 percent of their overall calorie intake from added sugars such as high-fructose corn syrup, raw sugar, white sugar, honey, pancake syrup and malt syrup, according to the publication "Dietary Guidelines for Americans, 2010." The guidelines suggest that a healthy diet include only 5 percent to 15 percent of total calories from added sugars and fats. While some sugar in your diet is OK, too much is not. If you're eating too many foods with added sugar, you may also be eating too many calories, as well as foods high in fat and salt, and not getting enough health-promoting nutrients. Unhealthy dietary choices may lead to overall poor health, which might include conditions such as high blood pressure. Making healthier food choices and eating less sugar may improve health and include nutrients, such as potassium, that help lower blood pressure. A high-sugar diet is associated with a high-calorie diet and may lead to weight gain. Being overweight and obesity are risk factors for high blood pressure. Excess weight also puts more strain on your heart and may increase cholesterol and triglyceride levels. Eating fewer foods with added sugar, such as soda, cake and cookies, may help you limit your calorie intake for weight loss. Losing 10 to 20 pounds can reduce blood pressure and your risk of heart disease. You can add sweetness to food and improve the nutritional quality of your diet using fruit as a natural sweetener. Fruits are high in fiber and rich in potassium. Mix bananas or berries into your pancake batter and you won't need to add syrup for sweetness at breakfast. Instead of cookies or cake for dessert at lunch and dinner, eat an apple or an orange, or make a fruit salad. Fruit purees, such as applesauce or pureed prunes, are good substitutes for the added sugar in your homemade baked goods. Why Should I Eat Less Sugar and Salt? Is Watermelon a Good Diet Food?